Cisco Tool | CCIE or Null! I figured I would write a post concerning some features built-in to most Cisco routers nowadays that can be lifesavers in identifying network congestion and who/what is causing it. 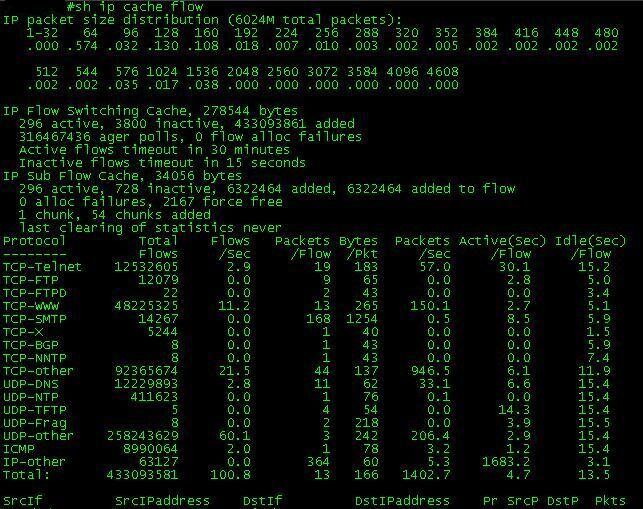 You can issue the sh ip cache flow command to see the output. While this output can be duanting at first it is actually fairly simply to understand once you realize what each column signifies. A nice shortcut for analyzing netflow is to find a free tool that will do it for you. 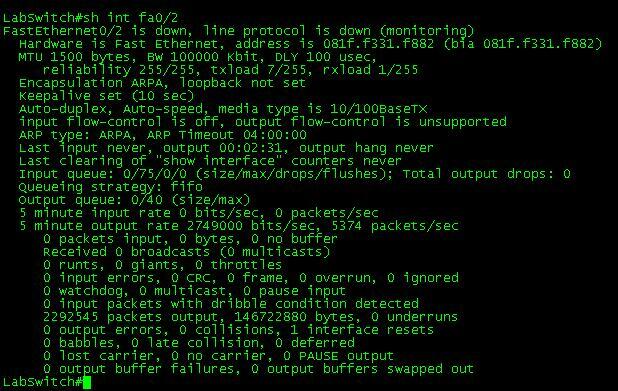 Their is more information displayed but from this point it looks almost identical to the sh ip flow top-talkers command shown below, the important thing here is the breakdown of the major protocols. The next really cool feature is called top talkers after you configure this you can quickly see which end devces on your network are taking up the most bandwidth. As you can see the output is placed nicely in a few columns, identifying the source interface and IP address, the destination interface and IP address, the protocol number (Pr column), the source and destination ports (keep in mind these are in hex format and need to be converted to decimal), and lastly the amount of bytes transferred in this case. So whether someone has introduced a new program, or a users decides to try and download the entire internet you should be able to easily identify it. Those two built-in features alone can help you troubleshoot any network congestion your network experiences with your Cisco devices.